Advancing your career is stressful. It can be amazing and lead to great rewards, but sticking your neck out there opens the door to rejection. The safest route is taking the easy road and just staying put. But who knows what possibilities are out there? 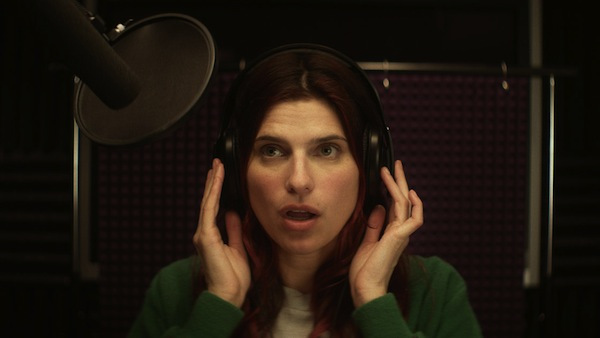 This subject is prevalent in the voice-over community of In a World…, the debut feature from Lake Bell. She wrote and directed this warm look at challenges for a woman breaking into a man’s world. There are very few examples of female voices in trailers, and it’s an unspoken rule that it won’t change. Bell has built a strong career as a supporting character in TV and movies, and she’s drawing from her own background. Hollywood has made some progress for actresses, but we still have a long way to go. Bell has shown comic skills as a regular on Childrens Hospital, and those talents serve her well here. The indie project has received a limited release, but it’s an accessible tale. We’re all pulling for the underdog trying to show the arrogant guys they’re missing the boat. Carol (Lake Bell) works as a vocal coach in Hollywood, but she dreams of breaking through in the voiceover world. Her father Sam (Fred Melamed) is a famous voice, but it isn’t the same for a woman in the community. A lucky break may change the game and gives Carol the chance to shine. Romance appears with her buddy Louis (Demetri Martin) and even the arrogant star Gustav Martin (Ken Marino). Things are happening for Carol, but her self-absorbed father may not enjoy losing the spotlight. In a World... presents the story of Carol and her immediately family, but it’s clear that Bell is doing more than crafting a fun comedy. She closes the movie with a close-up of Carol telling a group of young women to stop talking like chipmunks and “make a statement”. The empowerment message is a call to other artists to avoid the easy road. Let’s do something great! The challenge for Bell is conveying that theme in the confines of a conventional film. With a few exceptions, she succeeds and delivers both an enjoyable and positive film. The key factor is her likability, which makes us pull for Carol right from the start. She’s bumbling her way to success like all of us and wondering if it’s even worth trying. This insecurity is what makes Carol relatable beyond her voice-over talents. Bell has great chemistry with Demetri Martin, and their night out is a highlight. With karaoke and video games, it’s pretty much the greatest date ever. Their awkward transition between being friends and dating is handled well, and that’s not an easy task. Carol’s big break is the trailer for a “quadrilogy” about Amazon women that’s clearly satirizing The Hunger Games. There’s a fun cameo in the trailer, which effectively mocks the overly serious movie adaptations of fantasy novels. We also have Eva Longoria failing to nail an accent in an early scene. It’s clear that everyone involved is having a good time, and the cameos just add to that fun atmosphere. There’s also an interesting conversation between Carol and Geena Davis’ high-powered producer that nearly subverts her achievement. Her success is remarkable and will change her life, but it reminds us that we still have a long way to go. The supporting cast is excellent and makes up for some less inspiring side plots. It’s hard to lose our interest with Ken Marino, Nick Offerman, Tig Notaro, and Rob Corddry on the screen. All are excellent at comedy but don’t stray from depicting believable characters. Marino is just right to play the sleezy, overconfident star. 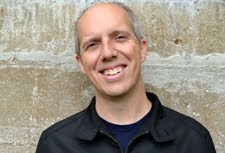 Corddy does well playing the regular guy as Carol’s brother-in-law Moe, but he’s also stuck in a bland subplot. When so much great material is happening, why do we spend so much time with his marital difficulties with his wife Dani (Michaela Watkins)? Both actors make us care about their relationship, but the amount of time on their arc is surprisingly high. Bell does make Dani’s nervous personality more understandable by revealing the fate of their mother. This information arrives late in the film and isn’t dwelled on, yet it explains so much about the family dynamics. While Bell has a diverse career, it’s still a surprise that In a World… is her first feature. Even when it meanders a few times, there’s a confidence and maturity that’s often missing from debut filmmakers. The title comes from the resurrection of the famous “in a world…” opening that’s largely disappeared from trailers. Bell mines plenty of comedy from this landscape yet rarely makes fun of the characters. They’re a passionate bunch that we rarely consider in movies and television. Carol travels with a tape recorder and records various accents to improve her craft. It’s a clever gag and fits with her neurotic approach to her passion. She’s a misfit yet still gets along well in society, so this isn’t a case of a loser escaping her shell. Bell keeps the story grounded and builds a much stronger connection. We can also sympathize with Carol for pursuing her passions despite all the obstacles blocking her way. Next week, I’ll find out about Sarah Polley's history in Stories We Tell. I am not too familiar with Lake Bell's previous works, but this film does sound rather interesting. I will have to see if it is playing in any of the theatres near me. Really enjoying this marathon by the way. Courtney, I think it's worth checking out for sure. It's a solid comedy with a strong cast. Thanks for the compliments about the marathon! It's been fun so far. I missed this one as it only had a very limited release near me but it looks like a really original concept and I absolutely love the title of it! I think you'll enjoy it. It's a fun look at a small niche, and the cast is very good!